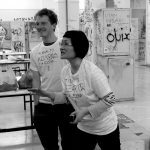 This workshop, organized jointly by AAO project and Parsons The New School For Design, New York, builds on the concept of collectivity. 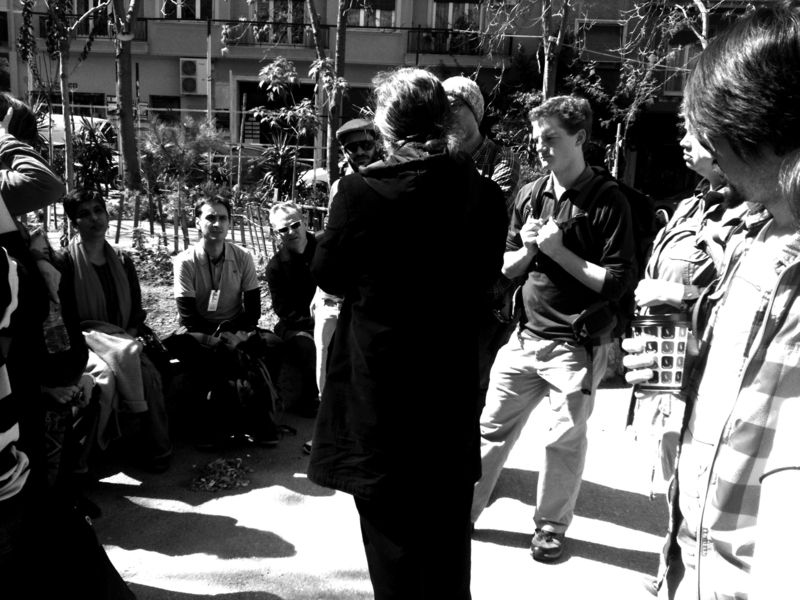 In this instance, collectivity is based on the idea that the way to achieve cooperation between groups of diverse interests is to set a common goal. 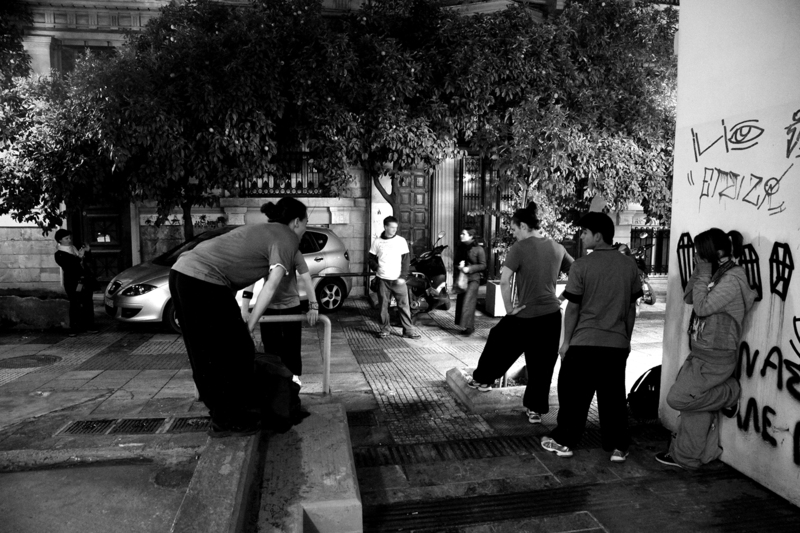 Moments of intensity and common targets bring people together. 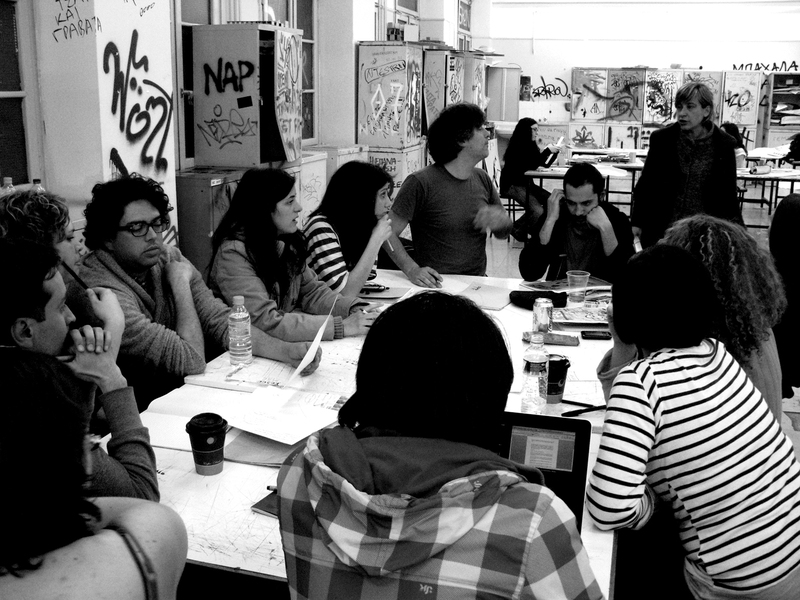 The workshop aims to promote dialogue, critical thinking, creation and hands-on process. 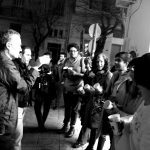 The idea is to support environmental and social actions undertaken by young people, so the activities developed are meant to transform them into co-creators of the urban and social environment and make them co-responsible for it. 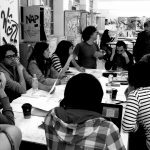 The outcome of the workshop will be directly implemented by being offered to an institution that will be able to put it into immediate action. 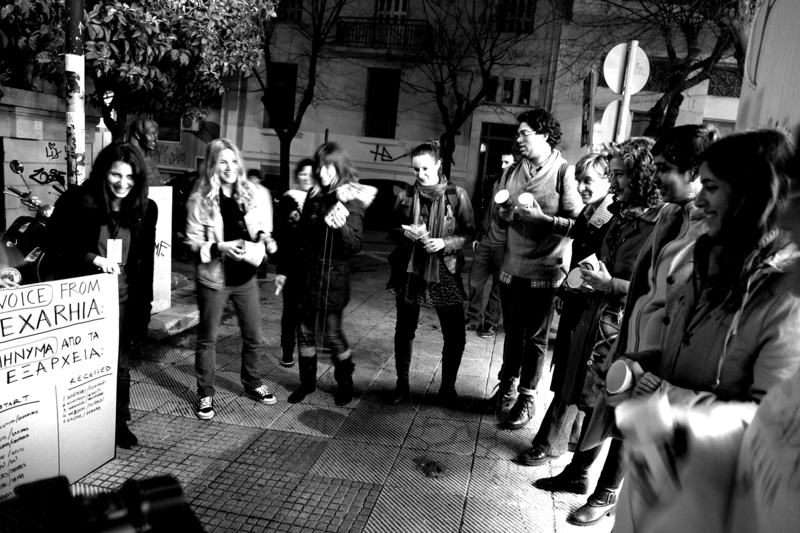 In February students from Parsons The New School For Design, New York, worked online with Greek participants using the internet platform ‘ΑΑΟ online-Social Design Academy’ in order to exchange ideas, opinions and information, before coming together for a week in Athens to study and work in downtown district of Exarchia—a historical part of the city, full of political and social tensions and charged with many different kinds of symbolism for different parts of society. 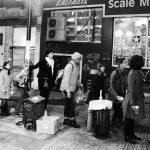 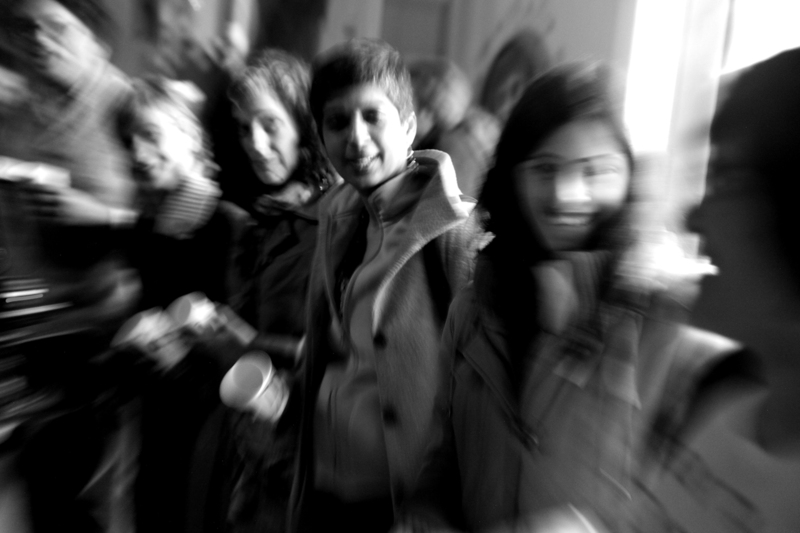 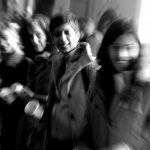 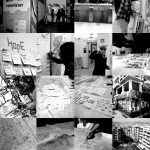 The intensive week-long AAO workshop, March 12 to 19, assembled a group of creative young practitioners, challenging them to envision a process of working together to respond to urgent conditions that people living in the heart of Athens face daily. 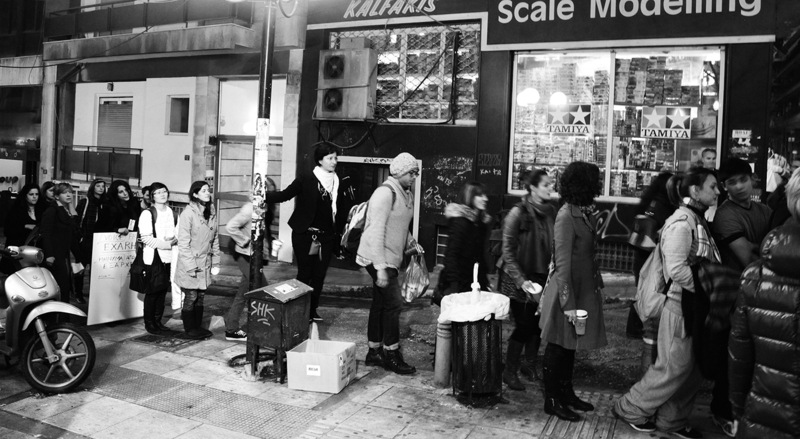 Some came from Greece and the United States, while others hailed from Colombia, Japan, Afghanistan and Lebanon. 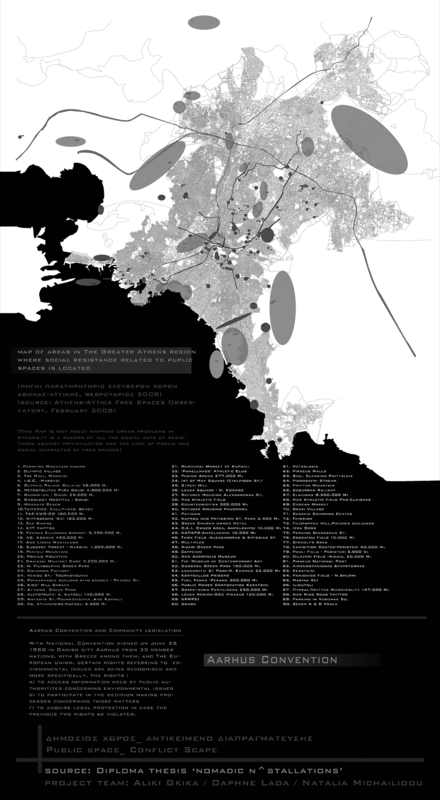 Each brought an array of disciplinary assumptions and creative methodologies from the fields of fine art, environmental studies, design and technology, architecture, service design, art history, and urban policy management. 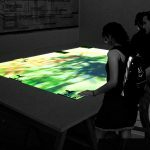 By recasting their profound differences into creative assets, they aimed to produce new forms of transdisciplinary, transferable knowledge, unified in their desire to make a meaningful social or ecological contribution through their cultural work. 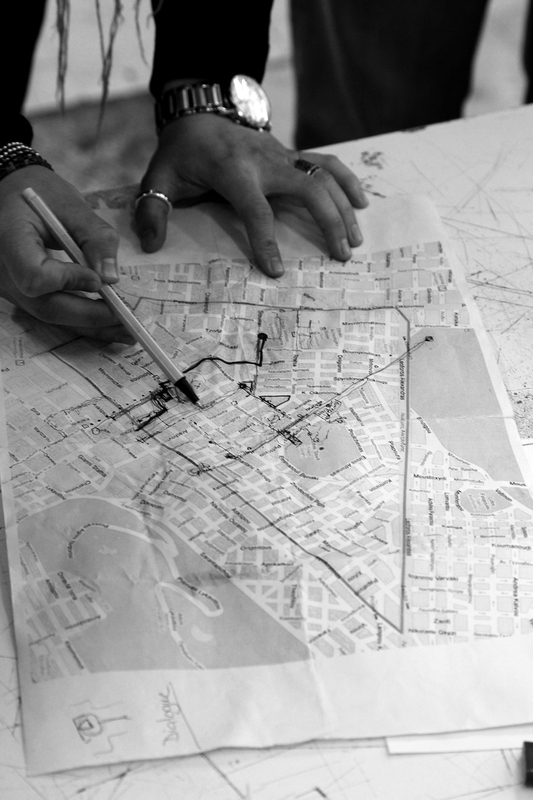 Upon arrival, each participant literally traced the routes of their life experiences onto a map of the world, orienting to one another while inventorying collective creative skills. 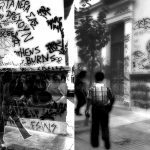 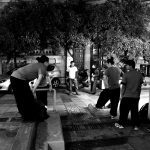 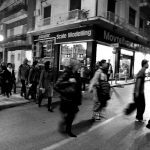 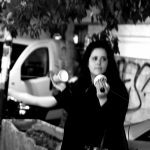 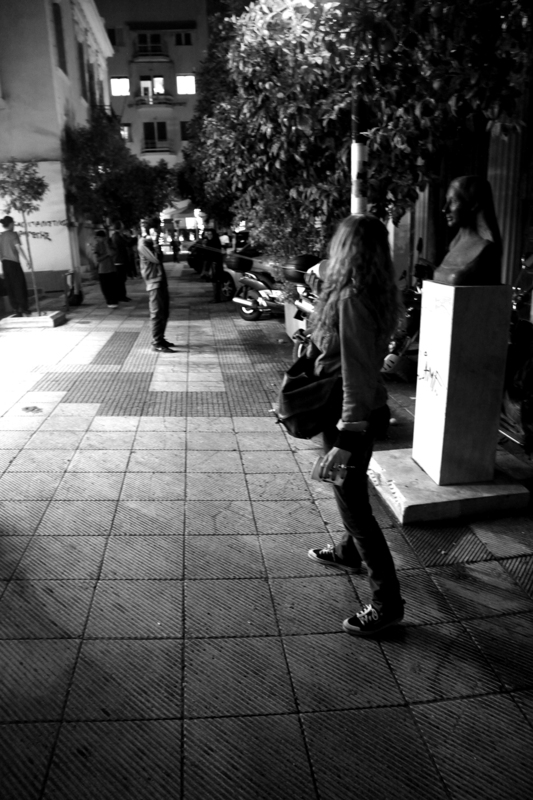 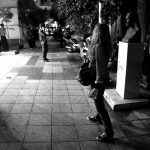 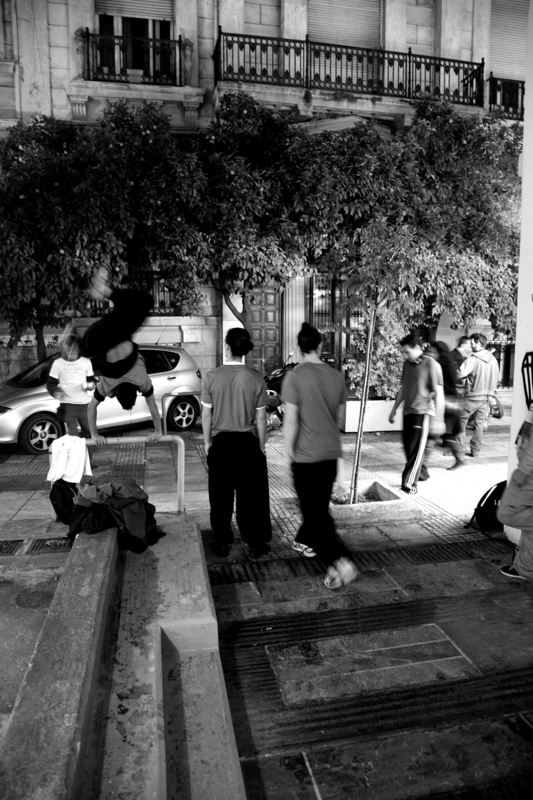 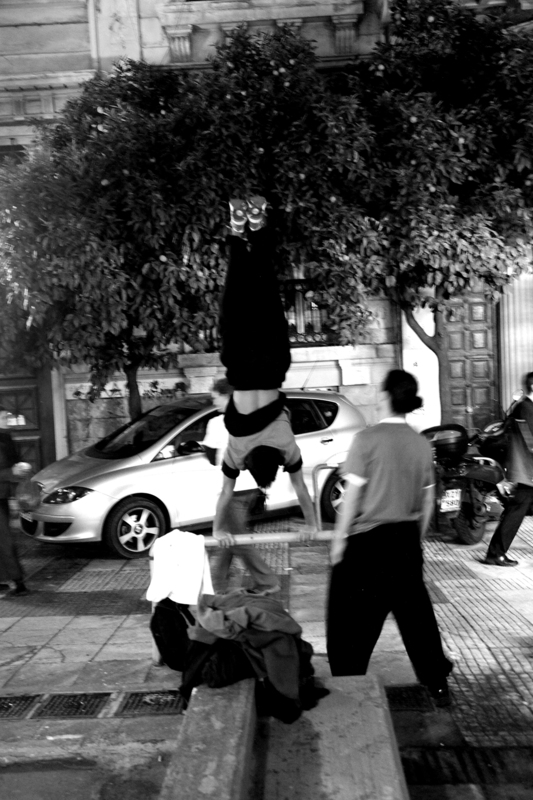 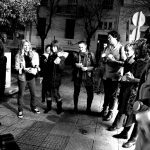 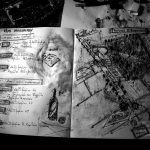 In the following days, Greek activist architects, professors, anarchist community leaders, Parkour practitioners and a host of neighborhood residents met and talked with the group. 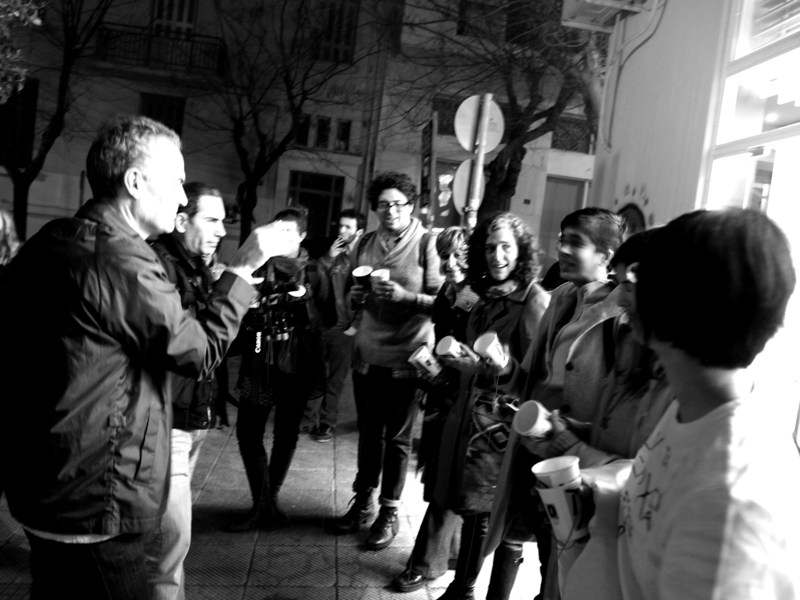 Forming cross-cultural teams to explore the local terrain by foot, participants shared observations and debated the broader implications of what they encountered. 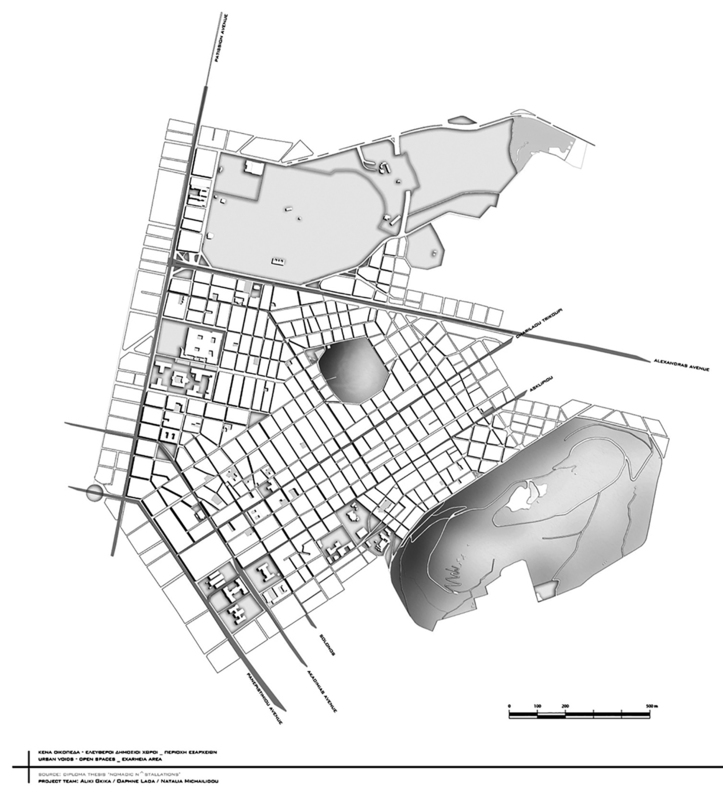 The whole process involved a first stage of getting acquainted with the region and noting its physical and social traits, talking to its people and listening to what they had to say. 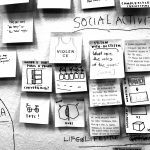 Armed with these insights, the students went on to devise and organize a couple of projects. 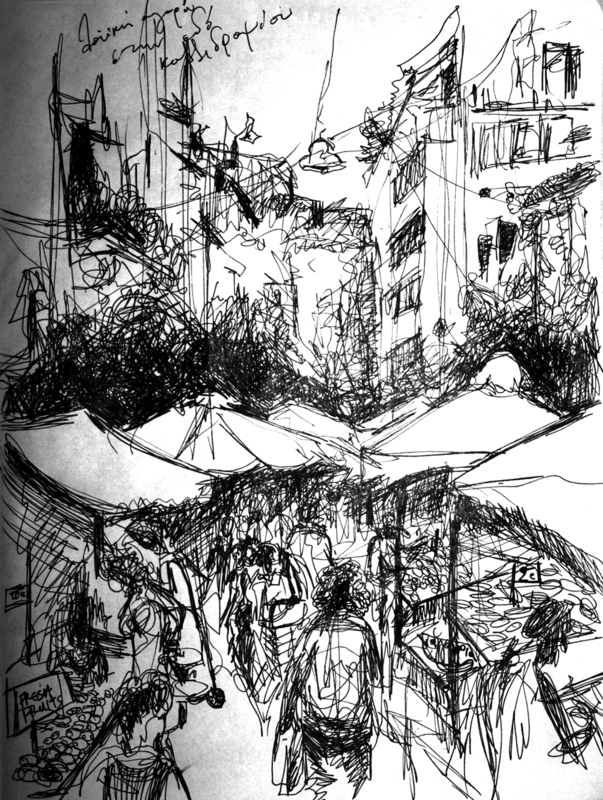 The complex and volatile neighborhood of Exarchia – as well as the space of this temporary workshop – exemplified what linguistics and comparative literature scholar Mary Louise Pratt calls a “Contact Zone”: a “social space where disparate cultures meet, clash, and grapple with each other.” The practice of attentive listening was unanimously recognized as the most important aspect of a community-oriented co-design process. 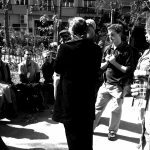 It fosters an attitude where presumed authority gives way to open questioning, genuine peer-to-peer learning and bold experimentation. 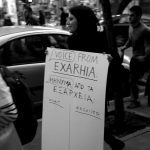 It is no coincidence that both actions produced through the workshop – the Peepoint and Voices of Exarchia found innovative ways to actually hear and more deeply consider the perspectives of the people who are being effected by it. 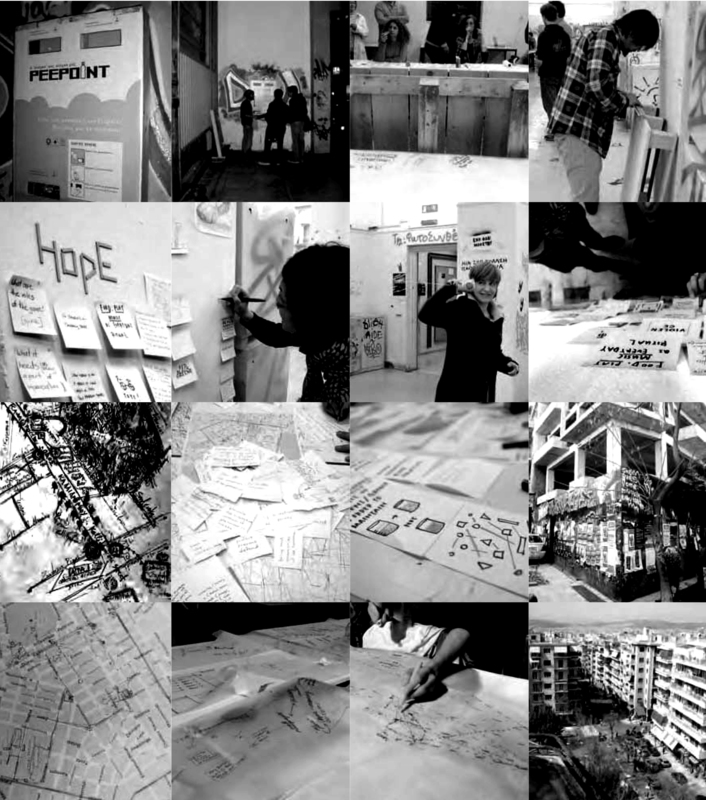 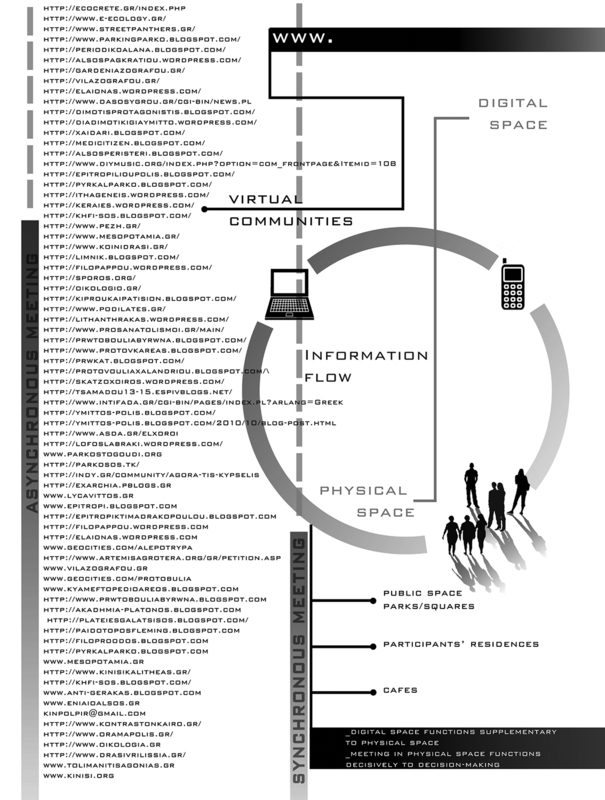 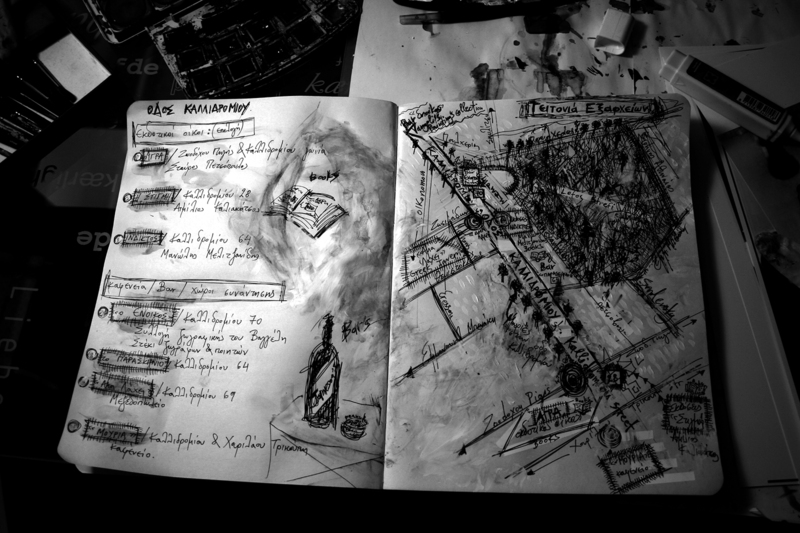 Each project posed itself as a research model soliciting more opinions from local Exarchians, and exemplified how disparate individuals in a Contact Zone could actually thrive on their cultural, political, ideological and creative differences, emerging transformed through vulnerable and sometimes charged exchanges. 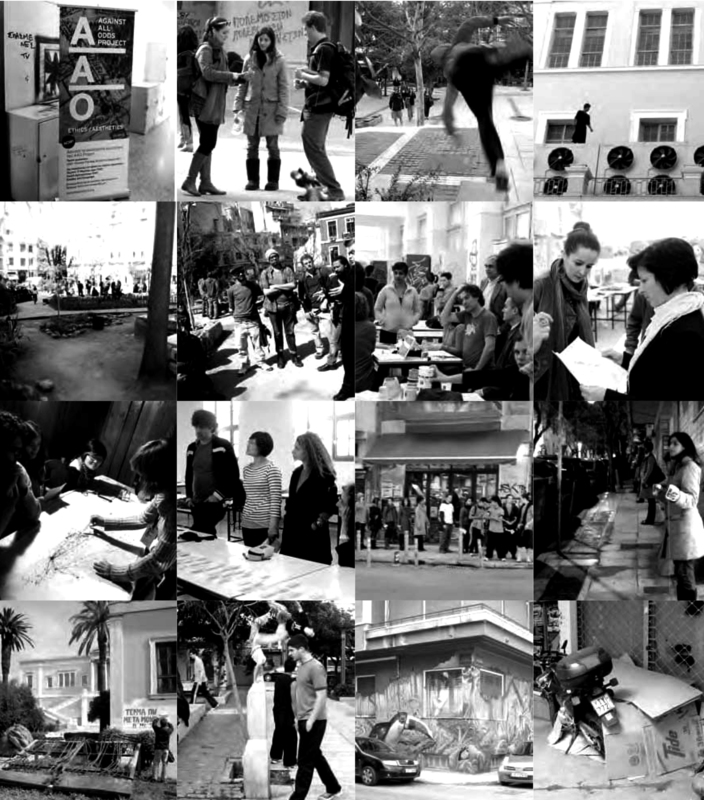 Seen from the perspective of both the Greek participants and guests from Parsons The New School For Design, the region’s socio-urban problems were carefully analyzed, revealed and interpreted. 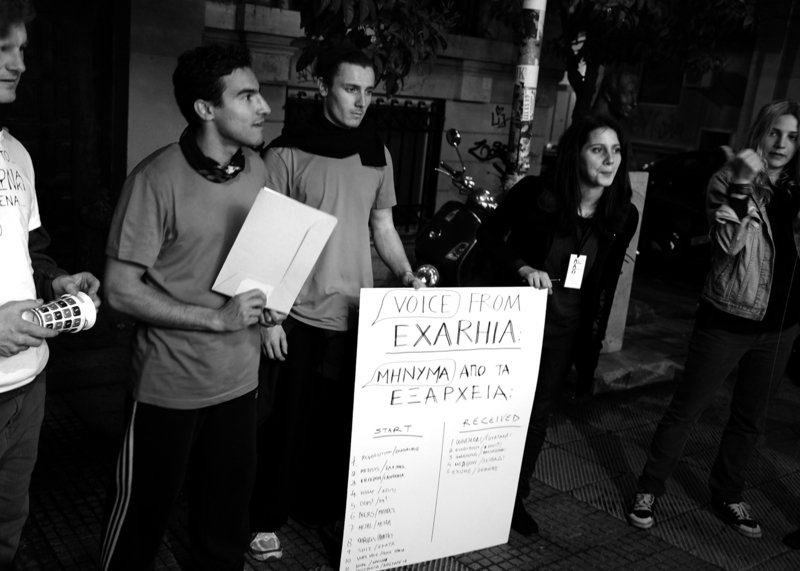 After long discussions, applied methodologies and creative brainstorming sessions, the final result both practically and symbolically, successfully invited residents and visitors of Exarchia, as well as the more affluent neighboring area of ​​Kolonaki, to participate in a live interactive game called Voice of Exarchia. 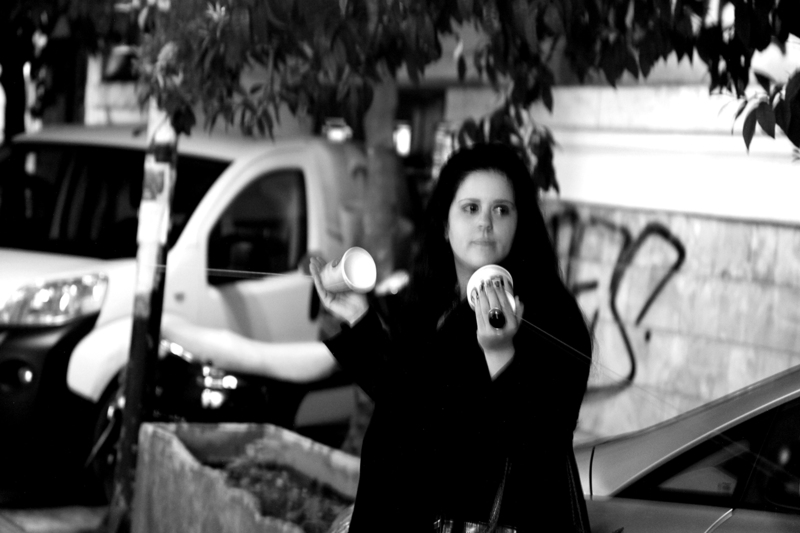 Using recyclable paper cups strung together tautly with thin red twine, players a whispered “message” that was transmitted from Kolonaki to Exarchia, and vice- versa. 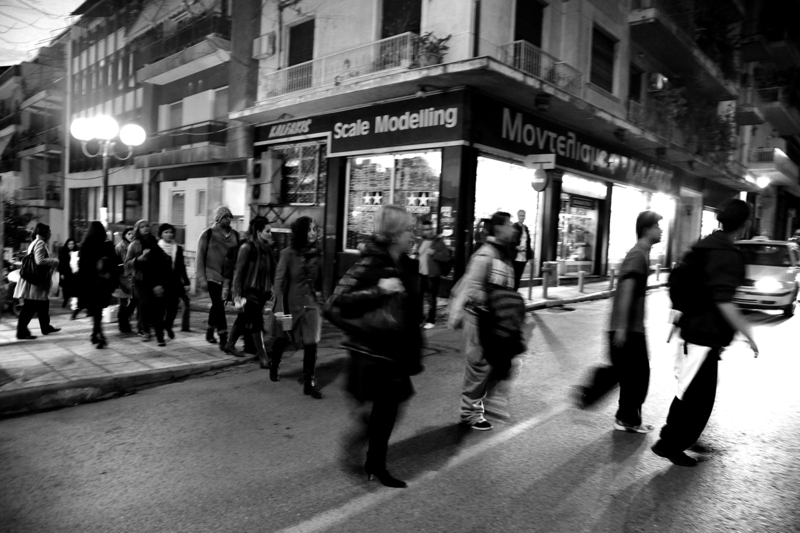 Locals on either end were asked to identify one word that most accurately described Exarchia. 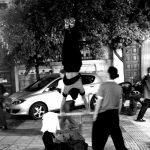 The intensity of response was unexpected, yet the presence of the Parkour team helped show how the human body could move beyond stereotypes and assist with alternative ways to transfer data. 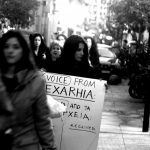 Each word devolved as one person did their best to accurately transfer it to the next individual, ultimately producing a radically different interpretation of what Exarchia “means.” A significant number of emotions were gathered through the exchange. 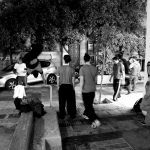 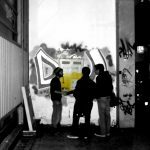 The purpose of this action was to enable people in Exarchia to recognize the effects of social miscommunication, and promote the coexistence of different people who might then participate in a game of geopolitical and social reconciliation. 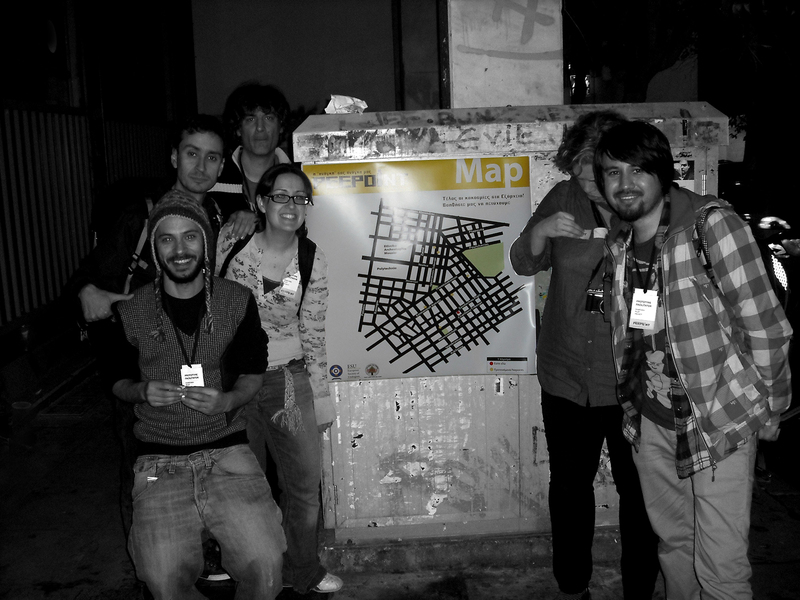 The final result proved that it was feasible to arrive at critical, provocative actions, if not actual answers. 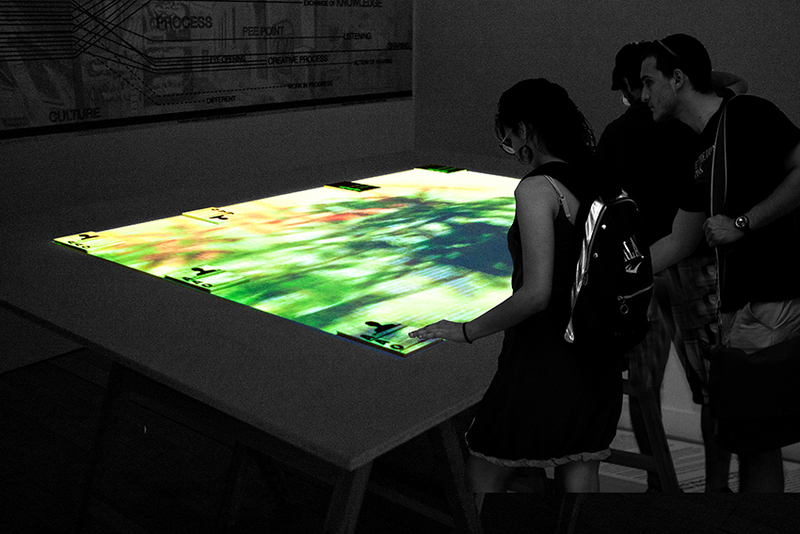 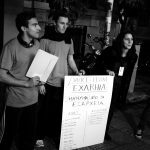 This project attempted to find a way to infiltrate the social tissue of the public space of Exarchia so that it might record the issues that need to be resolved. 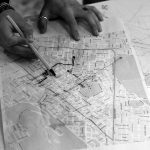 Initially, the workshop participants studied the area following several routes. 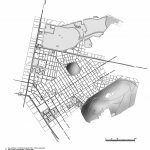 Through various media, they individually recorded physical and social elements that provided insights for better understanding the neighborhood and its specificities. 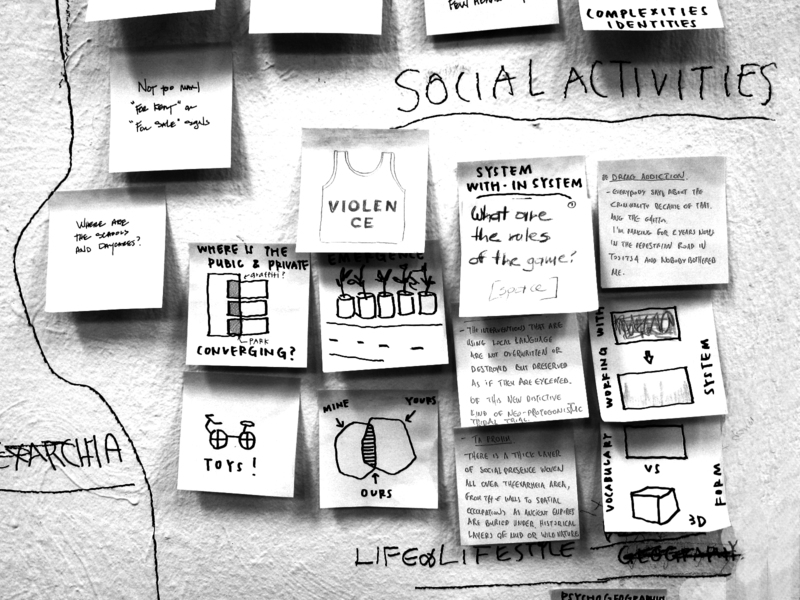 For this reason, the group created a kind of game with Post-It® notes where they imprinted their unique experiences of the neighborhood in writing or in drawing. 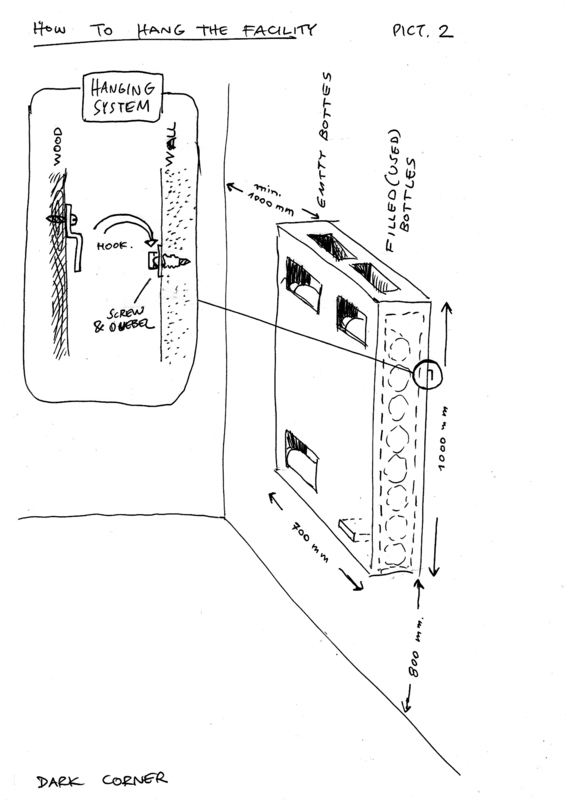 This sort of playful methodology gave them the significant advantage of instant comparison of unique perspectives and the means to identify and interpret common observations. 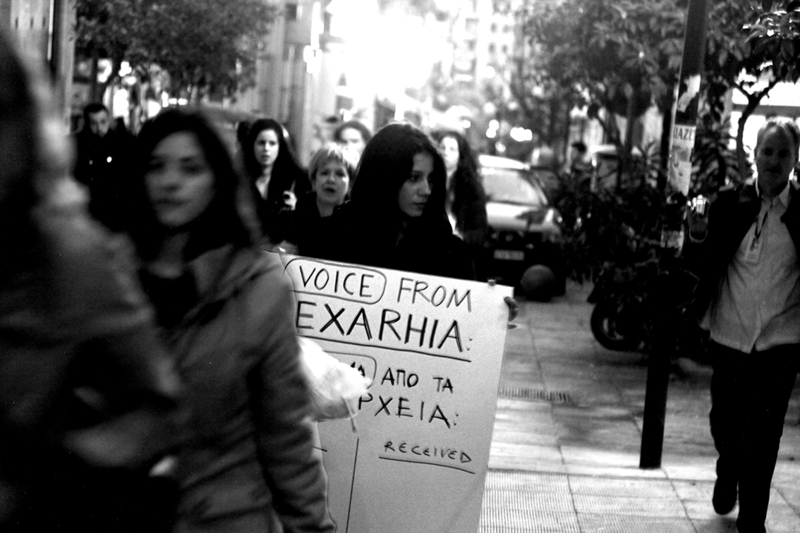 Three general conceptual categories emerged that encompassed almost all of their observations about Exarchia: a) Life and Lifestyle; b) Collectivity; and c) Ideology. 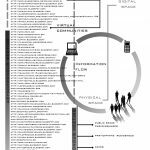 It became clear which phenomena appeared in more than one category, helping them easily identify common topics of concern and also evaluate the significance of the data in order to arrive at a final proposal for an action. 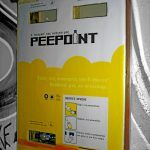 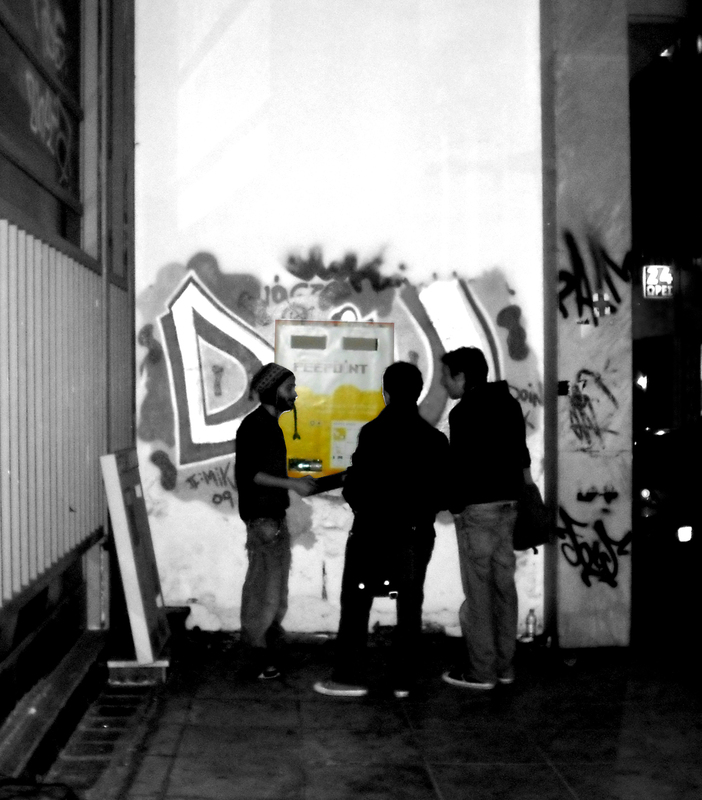 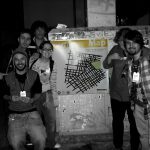 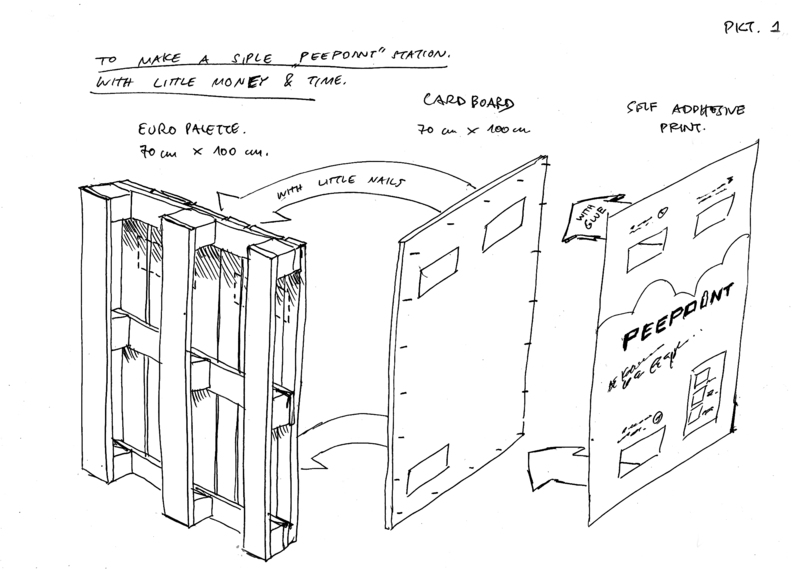 The action Peepoint announced itself to the inhabitants of Exarchia as a student-generated “pilot project.” By introducing locals to their crudely prototyped “recycling machine,” they triggered a public discussion about private issues and public smells, a process greatly enabled by humor. 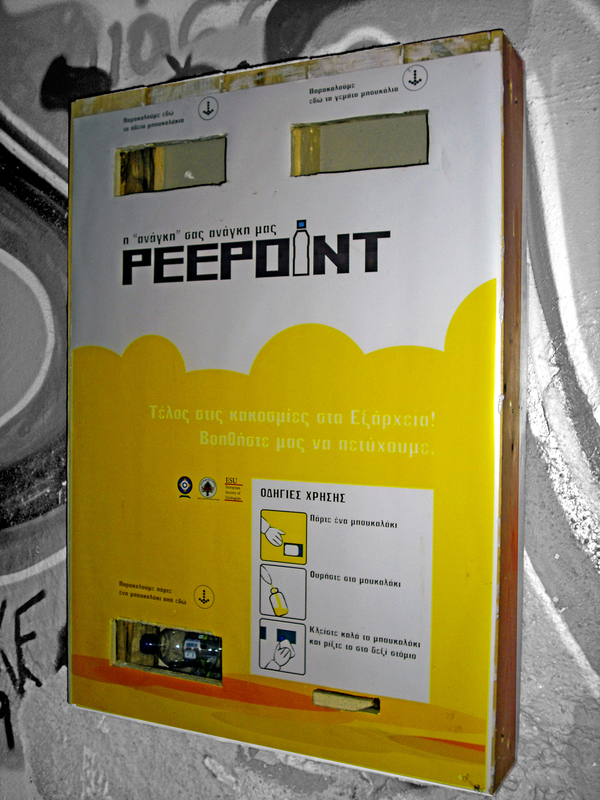 The team proposed that instead of urinating on building walls, the nocturnal wanderers in Exarchia could use its proposed vending machine, which dispenses free empty plastic water bottles to urinate in, and also provides a space to recycle them. . 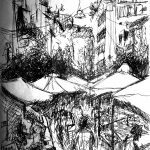 .! 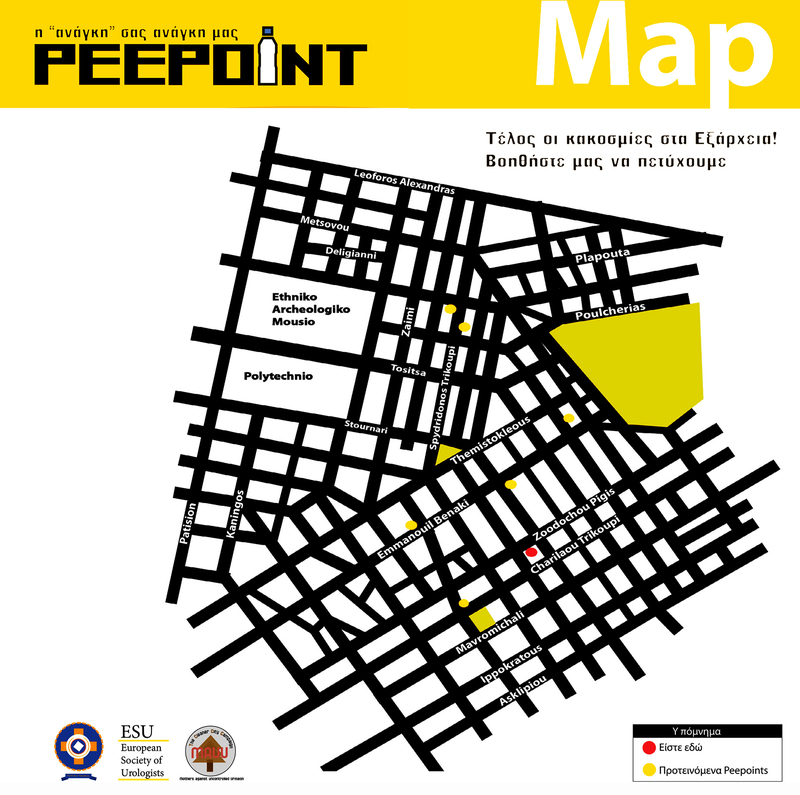 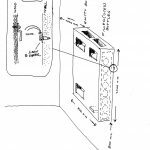 The locals responded enthusiastically to the possibility of realizing this project and placing Peepoints in especially smelly areas of Exarchia. 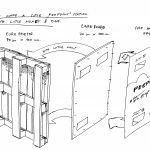 They encouraged the team to continue refining the model, and their constructive suggestions were recorded in videotaped interviews. 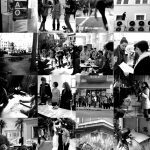 The process as well as the project of the workshop was presented at the parallel exhibition Athens Here and Now, of AAO: Ethics/Aesthetics, at the Benaki Museum Athens, Pireos Street Annexe. 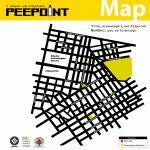 Athens Think-Tank Awards, awarded by the Municipality of Athens to instructors, participants and director of the academic workshop for the excellence of its work and its contribution to the cityscape. 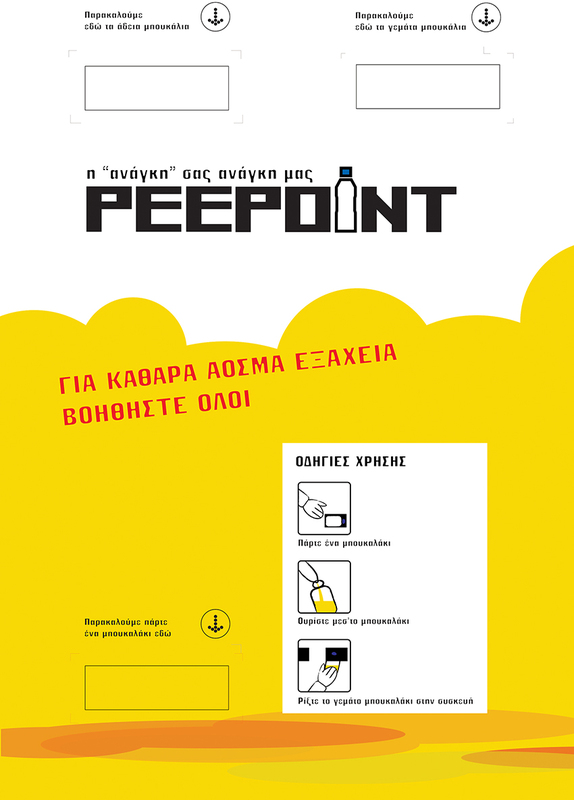 Publication in: Lina Stergiou, ed., Against All Οdds project: Ethics/Aesthetics (Athens: Benaki Museum and Papasotiriou, 2011), pp.195-203.